Our Housing Department can help renters needing repairs, help families at risk of becoming homeless, develop a payment plan for a security deposit, mediate conflicts with landlords, and much more. To get more information about our housing programs and services, call our Housing Department at (414) 449-4777 or come in to our offices at 728 N. James Lovell Street during walk-in hours (Monday, 11 a.m.-2 p.m., Tuesday-Friday, 9 a.m.-noon). City of Milwaukee Building Inspector Services: For residents who are renting housing units needing repair, Community Advocates' staff works with the City of Milwaukee Building Inspector's office to legally withhold rent until needed repairs are made to the rental unit. Services focus on rent withholding, rent abatement, and relocation. Homeless Prevention and Housing Stability Case Management Program: This program serves households at risk of becoming homeless, households who are facing imminent homelessness, and victims of domestic violence. Information, referral, and mediation are provided to low-income tenants facing eviction or small claims actions related to tenancy. Evictions are prevented through the program with up to six months of case management, referrals, and advocacy with property owners. 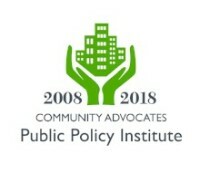 This program provides resources and teaches necessary skills so that these vulnerable populations are able to obtain affordable permanent housing through rapid re-housing and remain housed through homelessness prevention. Permanent Housing -- Intervention/Prevention/Case Management for Homeless Families Program: This program provides a continuum of services for low-income households who are homeless or for whom homelessness is imminent. 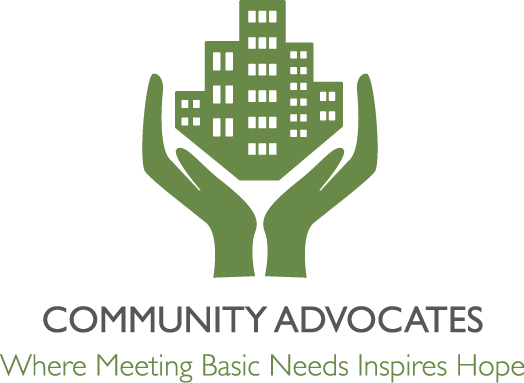 Participant households are offered comprehensive services -- advocacy, case management, and rent payment assistance -- to equip them with the resources and skills necessary to obtain affordable housing through rapid re-housing and remain housed through homelessness prevention. Rent Bridge Program: Community Advocates staff will negotiate a payment plan with property owners for clients who have income, but have missed a payment. Property owners must agree to participate in the program and will agree to accept the amount owed to be paid over a six-month period. To be eligible, the tenant must have lived in the housing unit for at least one year, the amount owed must be $400 or less, and tenants must have some form of income. Security Deposit Guarantee Program: This program assists those who are homeless or who are at risk of becoming homeless to secure housing by negotiating an agreement between the tenant and the prospective property owner to pay off their security deposit in installments along with their rent. Participants must find a property owner who agrees to take a security deposit in installments for up to a six-month period and clients must have income from employment, SSI, W2, or another source. Siemer Family Homeless Prevention and Case Management Program: This program helps reduce student mobility and increase academic success by improving long-term housing and economic stability for low-income families with school-age children who are homeless or at risk of becoming homeless. The goal of the program is to help families achieve financial goals and maintain a stable housing situation so that children can remain in school, giving them the best chance of academic success. Tenant-Landlord Mediation: Through this program, mediation is provided to low-income tenants facing eviction or small claims actions related to tenancy. This program offers resources that stabilize a threatened housing situation, making it possible for individuals and families to retain their housing. Tenant-Landlord Training: We present this one-hour session as needed in the community to provide information, referrals, and advocacy services regarding renter's rights and responsibilities for tenants and property owners. 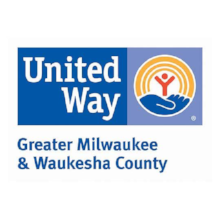 The Milwaukee County Energy Assistance Program can help low-income residents cover some of their heating costs during the cold months, get emergency repairs for their furnace, provide crisis energy assistance, and much more. Call 414-270-4653 or go to EnergyAssistanceMKE.org to find out if you are eligible for this program. Our Behavioral Health Staff provides services for those living with a chronic mental health issue and are experiencing homelessness. 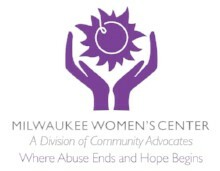 The Milwaukee Women's Center provides emergency shelter for women and families fleeing violence in the home or are at imminent risk of becoming homeless. The staff also offering housing counseling for shelter residents who need a new, permanent home. Being homeless is an experience no person or family should ever have to experience. 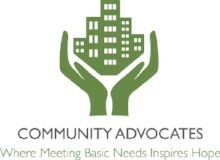 Community Advocates works every day to make homelessness in Milwaukee a thing of the past. Homelessness has many faces. There is no one "story" of homelessness. There are many reasons people lose access to their housing. Here are just two of those stories. Meet Eloise. She had hit rock bottom. Because of cancer, she lost everything. She turned to drugs for comfort. Bob was homeless for many years. His favorite sleeping spot was downtown, near the courthouse, where a vent in the sidewalk provided some warmth. Watch this video to find out how he found a sleeping spot with four walls and a roof, and to see how being homeless affected him as a person.